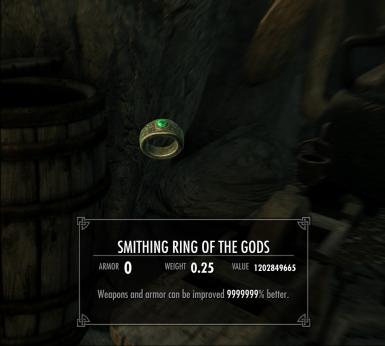 This mod simply adds two small rings that allow you to improve weapons and craft potions to a God tier level. Less overpowered optional file available. 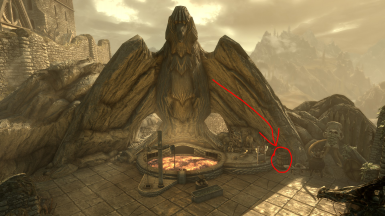 The 2 rings can be located inside of a barrel named [Barrel of Fun] right next to the sky forge In whiterun. *See image. 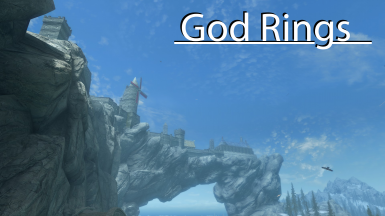 The 2 rings are called [Alchemy ring of the gods] and [Smithing ring of the gods]. This mode will ruin the progression of your character. 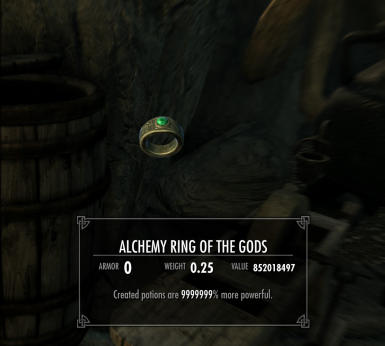 After crafting a potion or improving armor/weapons with these rings equipped, will Level up your alchemy/Smithing respectively, to 100. *Unless you have a mod that removes the cap limit. This is the first mod I've ever uploaded. It's really simple and in my opinion a good start.